Does torque matter? The short answer, absolutely! Most electricians don’t realize that a bolt and nut is not a means for AC Current to flow through. 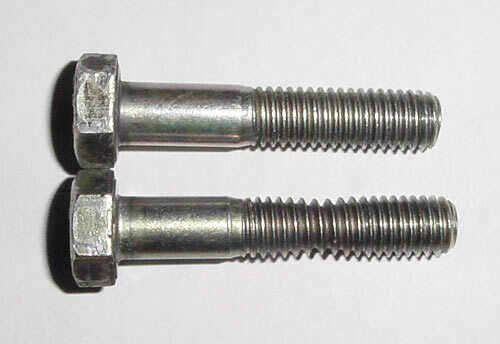 The actual resistance of the bolt is a much higher resistance that the resistance of two sandwiched pieces of copper. When a bolt is torqued to spec, it firmly applies pressure to the copper, making the resistance lower. Low resistance is good when pertaining to electric. Current flows in the path of least resistance. So if the copper connection is lower than the bolt, all current will go through the copper and not the bolt. That is the purpose. Above, an over torqued bolt caused the bolt to melt in half while testing. What happens when you over torque? The process of over torquing is one in which you are tightening a nut or bolt head, and stretching the bolt. 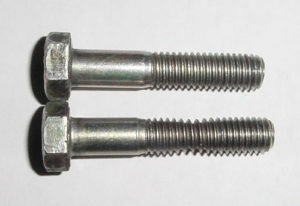 As seen above, you will notice the threads on the bottom bolt appear narrower than the bolt on the top. This bolt has stretched and essentially become weaker. It also makes a worse connection than a properly torqued bolt. While the bolt may feel tight, it is actually a looser connection which is something that can be measured by a DLRO (Digital Low Resistance Ohmmeter). What do you do with an over torqued bolt? Throw it away and replace it! 1 comment on Torque – Does it matter? Great write up. 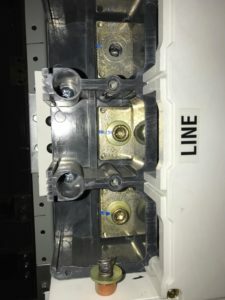 Its common knowledge that loose connections in electrical systems are bad news, but over-torquing can be just as catastrophic, as was explained here. This point often gets overlooked, with many having the “just make sure its tight” mentality instead of simply using a torque wrench. Another time you commonly see over-torquing is during regular maintenance of small electrical panels. Each year, workers often put a screwdriver on each connection and try to get a little turn, after so many years the connection slowly compresses the copper until it flattens or breaks.